Product prices and availability are accurate as of 2019-04-25 22:28:36 EDT and are subject to change. Any price and availability information displayed on http://www.amazon.com/ at the time of purchase will apply to the purchase of this product. Board is 13.5" X 13.5". Pieces range in size from 2" to 3.5" tall. 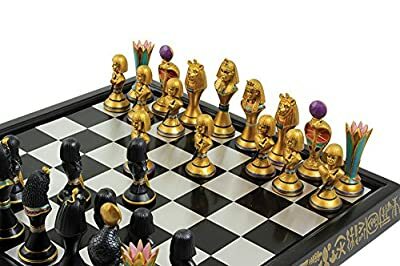 The board and pieces are made with polyresin. 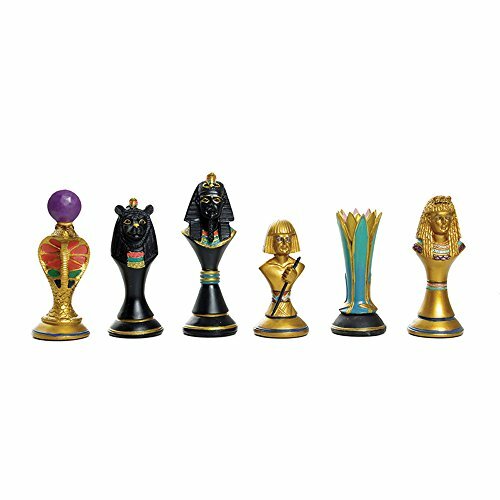 Embrace the mystical spirit of Egyptian artwork with this new chess set. Features famous Egyptian symbols on the board, an Egyptian pharaoh for the king, along with Egyptian snake and lion figures. Board is 13.5" X 13.5". Pieces range in size from 2" to 3.5" tall. 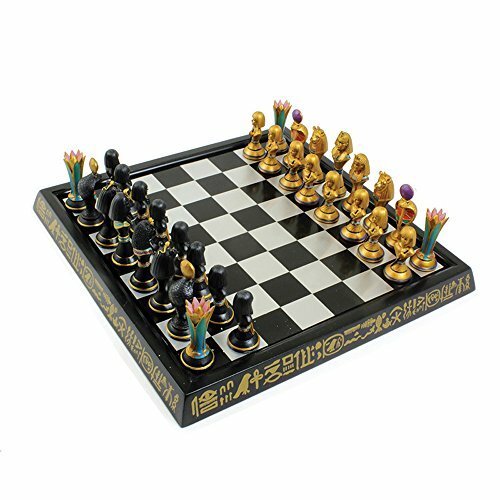 The board and pieces are made with polyresin.